As a kid growing up during the Monday Night Wars, I was constantly flipping through both TNT and USA to better my Monday night experience. Not knowing really anything about anyone on either program, Randy Savage was the first to draw me in. He had that gift, with just his voice alone of sucking you into the crazy, goofy world of wrestling. He made you care. He was as phenomenal in the ring, just as he was on the mic. He was the master of detail. Randy Savage will forever be one of my all-time favorite professional wrestlers and it broke my heart to hear of his passing. He will forever be missed and I will always hold him responsible for opening the gates of professional wrestling to me (and I still love it). "The tower of power, too sweet to be sour, funky like a monkey- OOOOOOOOOOOH YEEEEEAAAAHHHHHH!" Randy was one of those wrestlers that did their job so well that I hated him while he was feuding with Rickey the Dragon Steamboat. Though I hated the character he was one of the greatest in ring performers we will ever have seen. Not too many people can be compared to randy. And of those that can not too many of them are still alive. He was one of a rare breed of wrestler. And for that I will truly miss seeing him. If anyone deserves a hall of fame induction into any wrestling hall of fame it is randy. Rest In Peace Macho Man, you will be remembered by many as one of the people we loved to watch every Saturday. 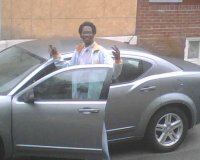 YOU WILL ALWAYS HAVE A BAND OF PEOPLE WHO WILL MISS YOU INCLUDING ME!!!!!~~R.I.P. 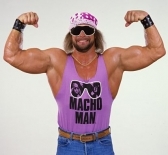 ~~MACHO~MAN U WAS MY HERO`!!!! !